taking over the Vagabundos Room after a stylish warm up by Argentinian sensation Franco Cinelli and Innervisions’ own Âme (DJ Set). Heating up the dance floor on the Main Room, Slovenian Techno maestro Valentino Kanzyani will be joined by Ernesto Ferreyra for his second gig of the night, with residents Javi Bora B2B Jose De Divina bringing on their 100% trademark Space Ibiza vibes. 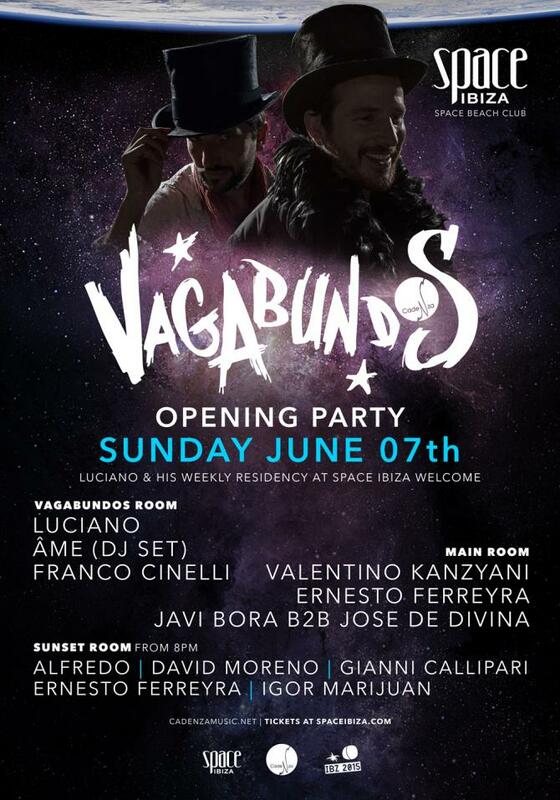 A highly anticipated comeback on the Island for 2015, Vagabundos is already causing quite a stir in clubland, with Luciano and his gang on top form and on fire for the season ahead. Every Sunday at Space Ibiza.